On September 27, 2012 I finally received a letter from my insurance company that didn’t make me cry, like so many letters I’d received from them before. Reading it felt a hundred times more rewarding and exciting than any college acceptance letter or scholarship reward letter I’ve ever received! My “selected providers” were, of course, Drs. Ross and Ditza at The Women’s Therapy Center, and I think they might have been even more excited and proud than I was to finally get that letter. Here are some of the steps I took, and tips I hope can be helpful in other women’s appeals or insurance processes in having their treatment (and cure!) recognized and covered, too. 1. First and foremost: don’t give up! If you really want to keep fighting (which you don’t have to do if you don’t want to) until your insurance company gives you the reply you want, it can start to feel like a part-time job. But at the same time, it can feel like you’re “revving up” to beat vaginismus once you get to Ross and Ditza! For me, personally, it also served as a powerful “distraction” from worrying during the time leading up to my two weeks at WTC. (Drs. Ditza and Ross mentioned that the “fight” I put up in this bode well for my treatment and cure, and it’s true: it felt empowering to finally get that, “Oh, okay, fine, we’ll cover it!” from my insurance company!). Take any and every letter of denial or reason given for denial as it comes, and move to whatever the next step is: a grievance, an appeal, a next-level appeal, and keep on going. Gather all those letters and your materials as stockpiles of ammunition, and hang on to everything to refer back to. The more you can say, “On this date, you said this, and on that date, Ms. X told me x, y, z,” the more powerful you feel to keep on going. 2. Document and cite, word-for-word. Use the literature from other doctors or in-network providers your insurance company will cover or might refer you to, rationales and correspondence from the insurance company itself, conversations and information about what your plan covers and why as you argue your case. As it accumulates, a lot of what you’re told by different appeals analysts ends up making your argument FOR you, as it starts to contradict itself: they might require or accept one thing, and simultaneously tell you that the same thing isn’t available/doesn’t exist. Or you’d be covered by insurance if you saw a doctor (who you’ve already seen and/or who you know can’t cure you) of their choice, and in fact you can gather a lot of information for your argument by referring to that doctor’s literature or treatment options (or the lack thereof specifically related to vaginismus). Example 2: After I was referred to the “specialist in vaginismus treatment even though there is no board-certified specialty in the condition” (!) in my area, I referred to the intake form and procedure at that office. I was asked, repeatedly, what my “current level of pain” was, and why I had not checked which condition I was there for treatment of. The intake form listed vulvar vestibulitis, endometriosis, fibroid care, and pelvic pain, but I had to handwrite the word “vaginismus” in, and repeat (to every nurse and doctor I spoke to there) that I could not “rate the severity of my constant pelvic pain,” because I had been diagnosed with vaginismus, and not the other conditions they did treat. 3. Questions That Make Your Argument For You. Send copies of, or excerpts/quotes from, the statistics and “Why Choose Us” facts on the Women’s Therapy Center’s website, and other lines of logic that are hard to argue against. Ask the insurance company and the doctors that are recognized and covered in your plan the following questions. Q: How much will this (indefinite, no-guarantee, not-specific-to-vaginismus treatment) cost? Q: Finally, how does that cost – for the insurance company, not necessarily for me, because they’ll cover it – for this treatment compare to the cost, instead, of covering my cure with the Women’s Therapy Center, in two weeks or less? 4. Additional Letters (and Voices) of Support from Professionals. If possible, send your insurance company copies of any letters of statements of support and recommendation from other doctors who are in your corner. I was so lucky to have support and cheerleading from a number of sources, and if you ask those whom you trust and know will help make your case even stronger, having their professional recommendations and arguments alongside your own letters of appeal help so much. Dr. Ross helped me formulate the kinds of questions above that built up my argument (and which helped me point out the flaws in my insurance company’s arguments at the same time!) . Dr. Ditza took time out of a particularly busy day to join the conference call/appeals panel meeting (the final, successful one – no coincidence Ditza was part of it, I think!) and her voice, expertise, and arguments helped seal the deal. Also on that conference call, to add more professional “ammunition” to the fight, was my psychiatrist, along with the specialist that my insurance company had referred me to (!) to help shoot down out any last scraps of an argument or questions that were brought up. But at that point, I’d jumped through all the insurance hoops, had done everything they told me to do, and had fought through every process or recourse again and again. The third-party doctor on the call who was to make the final decision on my appeal said, at the end of the conference call, that she couldn’t even think of any additional questions, and that there was so much material and information there in front of her, supported by this great trio of professional women and their voices on the phone, she had all she needed. 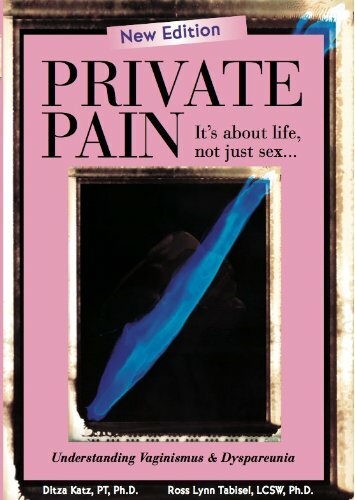 “The Women’s Therapy Center offers an opportunity for treatment in a concentrated and controlled environment, with a physical therapist and psychotherapist working together at all times to treat and cure this condition exclusively, something unavailable to me by any in-network provider in my (Blue Cross and Blue Shield) plan. Speaking of letting it be “final” when you want it to be, these are the steps and things I did along the way, but if you don’t want to fight through all the insurance steps, don’t! Anyone who’s been cured at WTC will tell you it’s worth every penny and then some. In the months leading up to my two weeks in New York, I jumped through the insurance hoops and went to the doctors they referred me to, and did what I was told. But a few times I did stop and ask myself if it was worth putting myself through another doctor’s visit that I knew was going to be stressful and upsetting, just to do it and “gather” the information I needed for my appeal. The final approval letter stated, “Approved: The Insured has followed up with all BCBS recommendations and has still not experienced a successful treatment for her condition.” So following all the required steps felt worth it then, but I was also at the point where I was just not going to take no for an answer. You can always get some kind of reimbursement, in some amount from your insurance, even if it’s not “covered in-network” – so you don’t have to fight all the way to full reimbursement or the In-Network Exception for it all. It’s still worth it ALL when you meet Drs. Ross and Ditza.